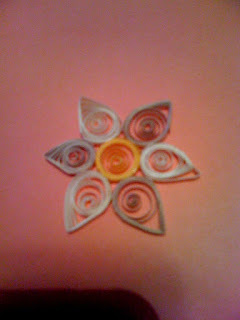 I decided to give quilling a whirl....so far so good! Its pretty fun...I feel like i'll never get totally involved in it but just knowing the basics is pretty helpful. It is easier than i thought it would be, however the glue gets kinda messy and annoying. Oh well the results are pretty cute so I'd say it's worth it!